This relaxing Panama retreat lets you see prime locations and also provides you plenty of time to explore on your own. First you’ll get to know Panama City: you’ll be staying at the stunning American Trade Hotel in Casco Viejo and enjoy a City & Canal Tour. Then you’ll take a beautiful day trip on a boat around the rainforest. Then, you’ll be off to coffee country! Explore the popular retreat location of Boquete, a mountain highland town that offers both relaxing and adventurous activities. The choice is yours! Arrive in Panama City and take a private transfer to the American Trade Hotel in Panama City’s Old Quarter, Casco Viejo. This is a prime city hotspot, an easy location to spend a romantic time with your loved one. Go on a private Panama City and Panama Canal tour for the greater part of the day. Explore the City at night. Time to go to explore the rainforest! Hop on a boat and explore the inlets of Panama Canal. Discover a wide range of animals and vegetation and admire the gorgeous natural attributes in the area. Keep your eyes open! Free day to explore Panama City. Take a private transfer to the regional airport and a quick flight to David. 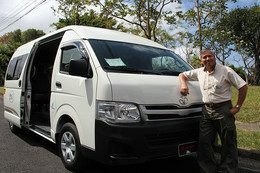 In David, you’ll take private ground transfer to Boquete, a highland town adjacent Panama’s only volcano. Stay at Panamonte Inn & Spa, right in this quaint town’s center. Take a canopy tour high above the tree tops! Enjoy the rest of the day to explore. Explore Boquete on your own. Here you can eat fresh foods, hike, zipline, white-water raft, indulge in a spa treatment, get to know the locals and much more. 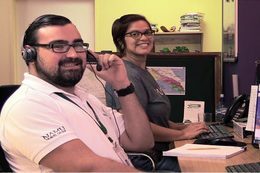 Take private ground transfer to David to hop a 1-hour flight back to Panama City. Arrive at Panama City’s regional airport and then take private transfer to the capital’s international airport, where you will catch your flight back home.